Hockey season is well underway and as dentist of the Vancouver Canucks I often get friends and patients coming up to me and asking me about the famous picture of smiling Zach Kassian with his missing front tooth. Here in Canada, we are used to seeing hockey players with missing front teeth but for most of us losing a tooth is a serious oral health issue. Luckily we are able now to offer state of the art dental tooth replacement using Dental Implants. What do you do when you are facing losing a tooth or have lost a tooth? Losing a tooth, especially in the smile zone is especially distressing. Many times due to accidental trauma or dental disease I have to tell my patient that they are going to lose a front tooth. It is a very emotional experience that often brings tears as my patient envisions themselves with a missing front tooth. The loss of confidence and self-esteem is incalculable. 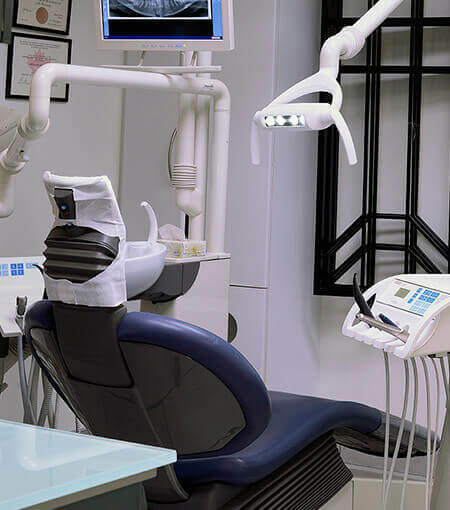 Although historically we were able to offer treatment solutions such as a removable partial denture or a fixed bridge as a tooth replacement, both those solutions came with assorted problems. . Most people found that they lost their confidence to smile as they were always worried about whether the denture would fall out while eating or talking. Also the plastic covered their palate which reduced their enjoyment of food. Problems with a cemented bridge were that you had to aggressively cut/prepare and forever alter the adjacent healthy teeth just to hang a fake tooth on. Also you couldn’t clean under the fake tooth too easily and food would collect. Without question todays Dental implants are probably the greatest innovation in dentistry in the past 40 years. We can now in many cases remove the tooth and place the dental implant at the same appointment. In addition, we can often place a temporary tooth on the artificial root implant so you can walk out of my office with a same day tooth replacement. 2. Prevent bone loss that occurs immediately after loss of a tooth and can often lead to unsightly gum and bone defects that may require extensive bone and tissue grafting to repair. If you are in need of professional dental implant services, book your appointment with Dr. Jeffrey Norden today! You can call us or book your appointment online through our website.